INDUSTRY.co.id - Jakarta - Indonesia is considered to have the potential of coastal land for the largest shrimp pond in the world. 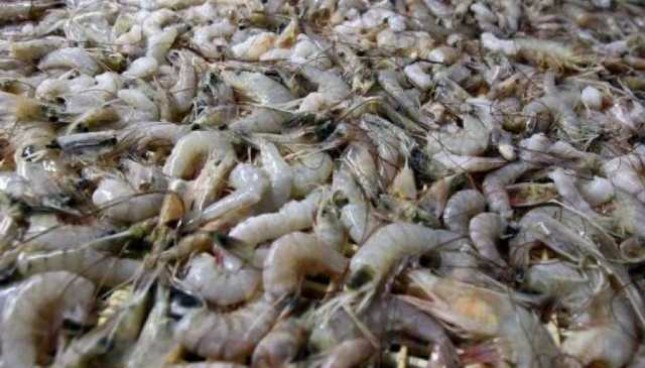 This is an important step for Indonesia as a producer and exporter of shrimp. Chairman of the Indonesian Aquaculture Society (MAI) Rokhmin Dahuri in a press release on Tuesday (3/7/2018) said that with shrimp one of the shrimp vaname can make Indonesia get a lot of positive trade results in trading in Indonesia. He further suggested that Indonesia to cooperate synergistically from upstream to downstream in shrimp cultivation. As well as holding a feed entrepreneur, farmers, processors to be able to produce shrimp vaname which became a new export in the world of fisheries. "The government, associations, researchers, and lecturers, must issue or contribute their best ability," he explained. As is known, President Jokowi wants vaname shrimp to be one of the national priorities in the field of fisheries. Based on data from International Trade Center (2017), the contribution of export value of frozen vaname (Whiteleg shrimps) to total fishery export value in 2016 reached more than 27%. The results prove that vaname shrimp have a big role to the economic performance of Indonesian fisheries. But so far, Indonesia vaname shrimp exports are still inferior to other countries, where in 2016 only USD1.67 billion. While India is the largest of USD3, 70 billion, followed by Vietnam with USD2, 71 billion, Ecuador USD2, 60 billion, China USD2, 16 billion and Thailand USD1, 98 billion. Meanwhile, world shrimp demand in 2010-2016 grew 7.45% per year (International Trade Center data of 2017). The amount also increased USD22, 19 billion in 2016. This means there is great potential to expand this niche market. And Indonesia also benefited freely from the epidemic EMS (early mortality syndrome), which threatens shrimp producers of ASEAN countries. This means that when the plague attacks other countries, we can increase production to increase exports.